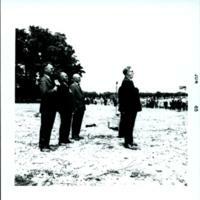 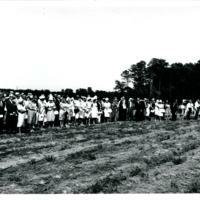 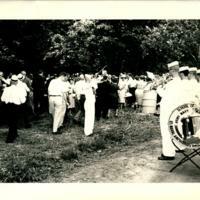 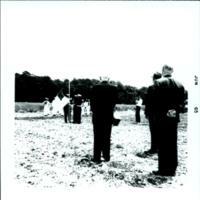 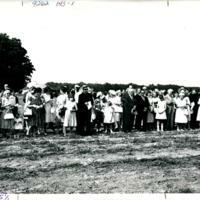 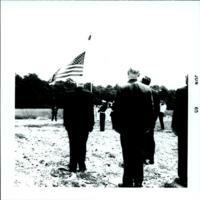 The backside of some dignitaries and naval officers in the distance standing to salute the raised United States flag at the Virginia Wesleyan College Village 1 groundbreaking ceremony on July 18, 1965. 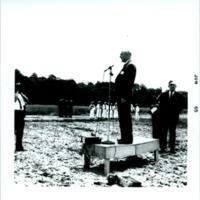 Speaker stands in front of the microphone on the pedestal at the Virginia Wesleyan College Village 1 groundbreaking ceremony on July 18, 1965. 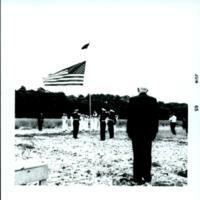 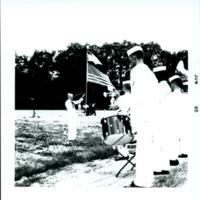 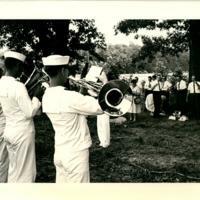 Dignitaries and military band salute the United States flag as it is being raised as part of the Virginia Wesleyan College Village 1 groundbreaking ceremony on July 18, 1965. 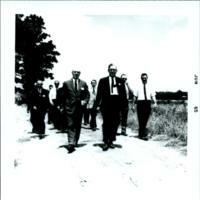 President Johnston and an unidentified male entourage walking along a path at the Virginia Wesleyan College Village 1 groundbreaking ceremony on July 18, 1965. 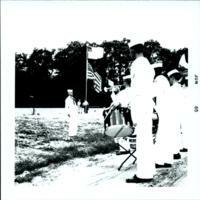 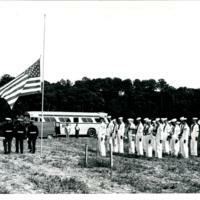 Naval officers and speaker salute the United States flag at the Virginia Wesleyan College groundbreaking ceremony on July 18, 1965. 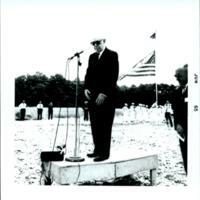 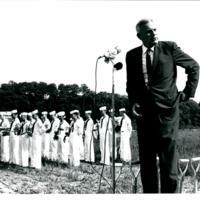 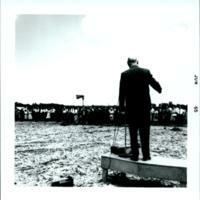 President Joseph S. Johnston stands at the mircophone on the wooden podium at the Virginia Wesleyan College groundbreaking ceremony on July 18, 1965. 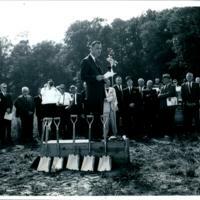 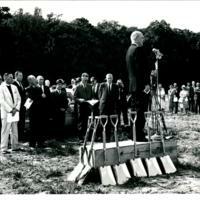 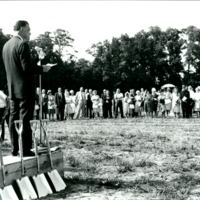 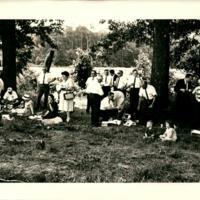 Lieutenant Governor Mills Godwin at the microphone on the podium with the shovels that will be used for the Virginia Wesleyan College Village 1 groundbreaking ceremony on July 18, 1965.